How Russia and China and almost every other nation’s military must laugh when they see what is happening in the US. Here is one of the most stark examples ever to demonstrate that not only is the Obama administration white anting the US as a whole, it is specifically targeting old school military officers. “I inadvertently made an unfortunate comment, I own it, and I hold myself accountable to the same high standards my subordinate commanders are held to,” Major General Michael Keltz said in a statement. “As a result, I have tendered my resignation from command and requested to retire from service,” he added. Keltz was the commander of 19th Air Force, which has over 35,000 military personnel, 1,600 aircraft in 19 units across the US, according to mid-2000s estimates. Keltz is a decorated combat pilot who headed operations in Iraq and Afghanistan. 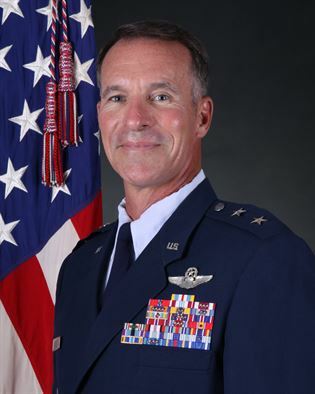 He was appointed as the chief of the 19th Air Force last October. Air Education and Training Command announced Keltz’s resignation on April 30, stating the cause was an “inappropriate comment” online, the Air Force Times said. Whaat an utter disgrace and I just cannot believe that the US has sunk to this level. Its what happens when Progressives get control. I mean it is not like he was actually doing anything physical like say, pulling a pony tail. How many other US high ranking military officers have been removed lately?